This is the third version of a photo that I took last weekend, this time with a woodcut effect added in Painter. 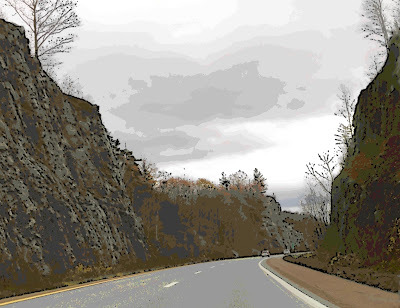 I took the photo from the passenger seat of a moving car while we were heading home from Vermont. This is somewhere between Burlington and Montpellier.